The Orange Essence modern metal wall sculpture features a brilliant orange color scheme. This modern art was designed by none other than NAY, specializing in metal artwork and modern feng shui. The raised, layered panels of this triptych art display add a texture and character to the sculpture. 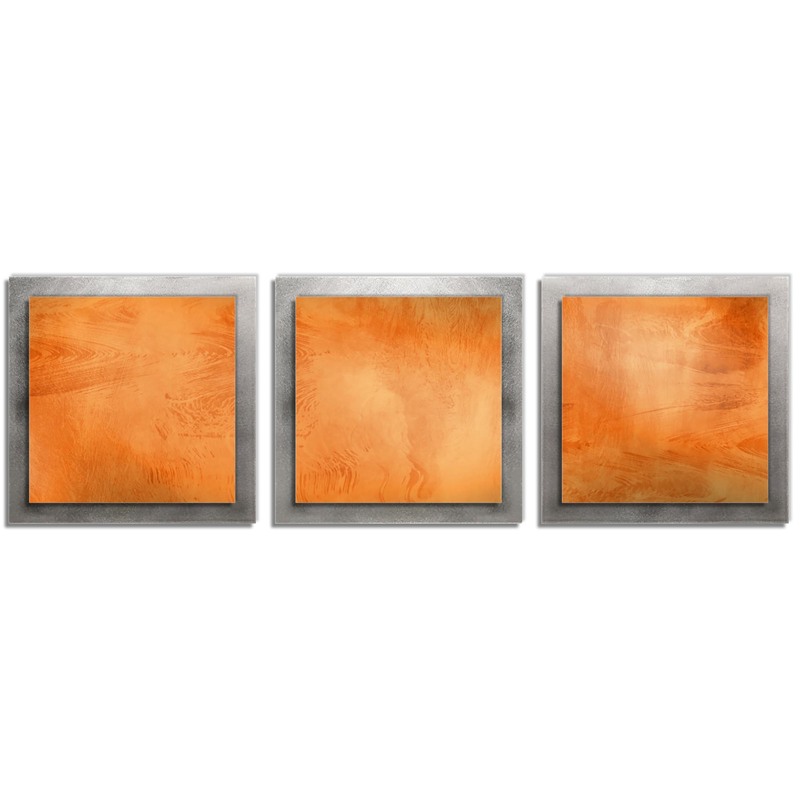 The orange color tones vary and fade in levels of intensity, giving this metal painting a sunny, warm feel, highlighted perfectly with the cold steel back panels and creating a bright accent against virtually any wall. The satin matte coloring process features subtle swirling patterns. These multi-panel metal wall sculptures allow for flexibility in orientation: some choose a traditional horizontal line, others prefer a vertical line, while others still arrange the metal panels in a more sporadic or random layout. 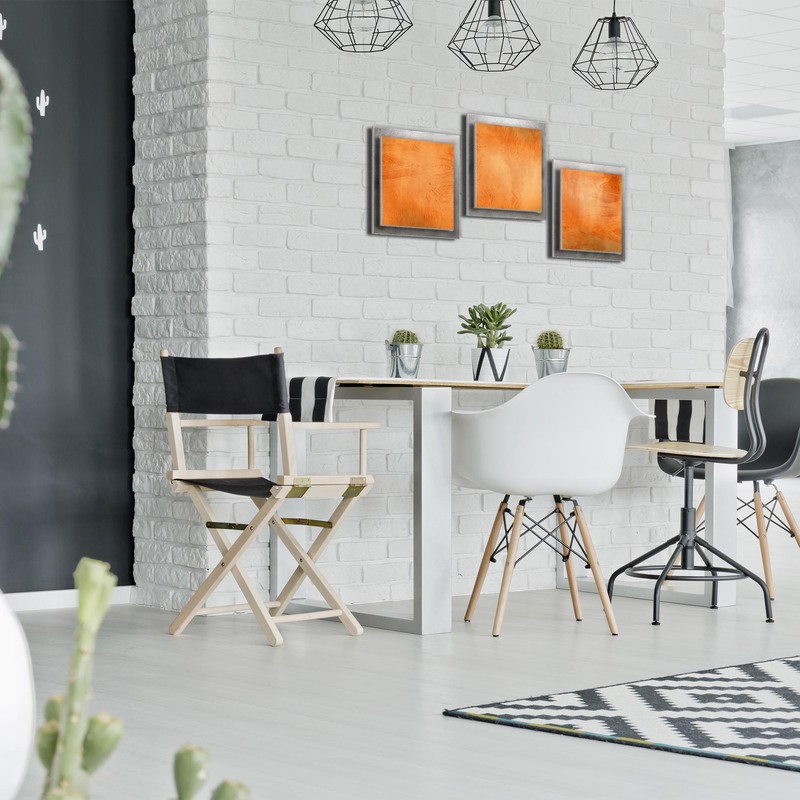 Regardless of the orientation, the clever art design and stark colors of Orange Essence will be an eye-catcher on your wall as the artwork accents the Decor of any contemporary, abstract, modern or urban home/office.